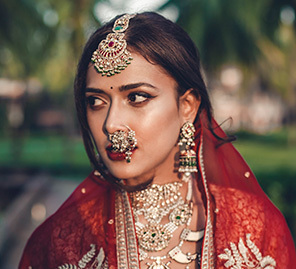 Anvita’s trousseau pivoted around deep reds and vibrant yellows in creations designed by the bride herself. 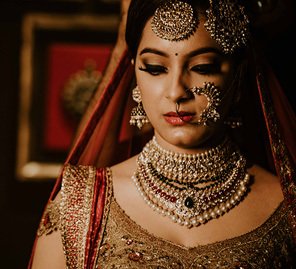 Anvita Gupta’s stunning bridal ensembles were all about colors and standout jewellery. 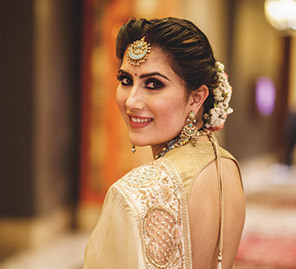 Check out this bride’s discerning sense of style and be inspired by how beautifully it all came together. “I designed all the décor with a little help from the internet and it was executed by Goa Celebrations, run by Brian Britto. The idea was to bring in all the colors via three bright colorful tents. I had the hot pink one.